As part of its executive education programmes, Zurich University of the Arts (ZHdK) and Connecting Spaces Hong Kong-Zurich are co-presenting with the Hong Kong Institute of Education (HKIEd) to bring a series of courses – “mGlobal Practices in Cultural Management”. Suitable for fellow cultural managers, the three-part intensive course will take participants to three core parts of cultural management, with exclusive opportunities to learn from global cultural leaders from Hong Kong and Singapore, and a rare chance to hear from the successful story of the Chinese Contemporary Art Award (CCAA) – led by founder and renowned art collector, Dr Uli Sigg and joined by equally influential facilitators of the subject. This course will unreservedly share first-hand information about the art scene in China, and a wide range of contacts with relevant local and international institutions and actors. This is a not-to-be-missed opportunity for those who are interested in the Sigg Collection and Hong Kong’s M+ Museum. ZHdK’s executive education programme and offers creative artists, cultural producers, and members of the general public exclusive insights into contemporary Chinese art, first-hand information about the art scene in China, and a wide range of contacts with relevant local and international institutions and actors. Coursework focuses on two key examples: The Sigg Collection and Hong Kong’s M+ Museum. Sessions build specialist knowledge and skills based on an approach to teaching and research developed especially for this programme. The research undertaken at the Institute for Contemporary Art Research (IFCAR) at Zurich University of the Arts, together with practical case studies on the development of Chinese contemporary art since the 1980s, ensure that this further education opportunity provides a complete new approach to this subject that offers an attractive mixture of theory and practice. 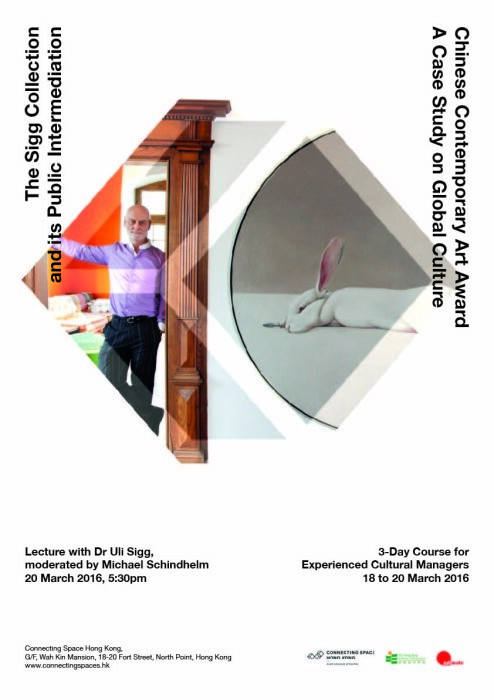 “Chinese Contemporary Art Award (CCAA) – a Case Study on Global Culture” is part of ‘Global Practices in Cultural Management’, which consists of three courses. For more information, please click here.